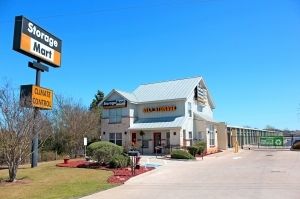 StorageMart FM 1325 & Shoreline Dr is more than just self storage as our core values of Easy Clean Service give us an advantage over the competition. Our well-trained staff will work with you to ensure you find the storage solution best suited to meet your needs while making the whole process as easy as possible. We go the extra mile by offering Value Coverage options to our customers, who appreciate the peace of mind and affordability of the program. StorageMart is invested in giving back to our communities by supporting the StorageMart "Store It Forward" giving initiative. For more information, visit the StorageMart Blog.Regarding insurance, customers should have proof of homeowners or renters insurance, or opt in to a Value Coverage plan starting at $10.97. Very clean and staff seems nice. The staff was helpful and seems safe. Checking in and getting my storage set up was a quick and thorough process. The facility seems very secure. But one thing I have to mention is that the staff here are not only helpful and professional, but genuinely kind. I would recommend this location to anyone. I chose this place due to the pricing (obv) but once I was called back to set things up I was informed of the monthly fee, the one time admin fee, then the coverage requirement ($10-20). Not sure if this is normal, but I would have chosen something much more centrally located if I knew this. Other than that the space is nice and clean, easy to access and the climate control works well so far. The service at the front desk is great. Quick service and easy access units. 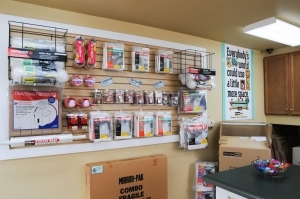 Organized and clean facility with great customer service! I've been renting from StorageMart for about a year, and it has been a great experience overall. Easy move in and always excellent customer service. Repeat customer that didn't hesitate coming back when I needed some space. Happy to come back, but the reservation was almost denied to me and at first I thought I had instant regret, but Cynthia made the call and got it all straightened out and they honored my reservation. Well kept and well managed and Cynthia has been so helpful. The only thing that I am upset about are the change in hours. It used to be 24 hr access and that is what I needed and that is what was still advertised to me when I looked at them again and made my reservation. But when I got the unit, I was informed that the access hours had changed and were no longer 24 hr. This is a HUGE inconvenience for me, but I will have to work around it as long as I can. Very good service, seems well maintained. Manager was very nice and helpful. Units seem nice and she was very honest about everything and the entire process. Nice facility, best price for the size in town. 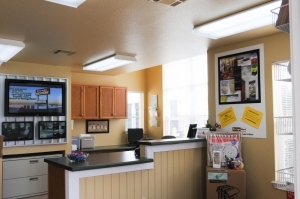 Easily located, outstanding customer service, and clean, well maintained facility. Friendly staff, convenient location, easy move-in. What more can you ask for? Good facility, easy to work with. Got in and Got it done. convenient location for my moving needs. paperwork check gate code check dump my stuff off and lock it up. no problemo. Got there, signed my paperwork. Checked my gate code and showed me the unit, clean. Put stuff in, locked it and left. Pros: decent value, clean unit, easy to find Cons: You do have to buy insurance, which isn't mentioned on the website anywhere so it's sort of sprung up on you when you're already there (so yes, it feels quite sneaky). It's also far out (from Central Austin). I was a stitch annoyed because I already confirmed that I would be coming with one person and received at least two more calls, one with a message that essentially demanded that I call back regardless or whether or not I was coming. I'm sorry, I'm packing and I don't have time to call a ton of people and I don't have time to listen to a ton of voicemails. Better communication between corporate and local is needed. Debbie was so helpful and kind. I'm very thankful to have found this storage facility. They were great to move me I'm for20 bux! I'm very happy with my storage room. Great month deal. Pricing was the best in the area. The lady that helped me was very friendly and helpful! The price is right but it's not as clean as I would have hoped. Very good customer service. Very curtious employee. The manager is very friendly and takes very good care of the facility. There are multiple cameras to ensure a secure space and so far, I'm impressed with the value! After the last storage room I had, I was uncomfortable about getting another one. But this one experience was awesome. Reserved online, went and paid and 10 min later I have clean storage place. Manager was awesome. I already recommended to my roommate. Debbie was great! Very professional, kind and accommodating. Storage mart didn't have exactly the best customer at the site,bit space foot made all the difference in the world ! Spacefoot has excellent customer service. LOVE the property manager, Debbie. She is such a wonderful person! I feel like my valuables are safe here and it's in a great location. Not in town but not too far away from it either. The surrounding area is a safe area so less likely for break-ins. It's clean and just has a friendly vibe! Definitely recommend this spot to anyone and everyone! Quick and easy; just what I needed, just when I needed it! The check-in was good and the storage units are pretty clean and I like the price too. Just what I needed, exactly when I needed it. With the added bonus of a convenient (for me) location and impressive condition. I would recommend this business to anyone else looking to stash excess stuff when moving, downsizing, etc. The manager was very helpful and nice! Overall good experience. There were hidden fees when I went to pay that I was not made aware of: admin fees and mandatory insurance. Overall I'm happy. Everyone is dealt with was professional and helpful. The place is very clean and secure. There were admin charges and mandatory insurance charges that I was unaware of, so it ended up costing more than advertised. I booked my storage rental for Storage Mart through Sparefoot and received immediate response from the on-site manager via phone call. The day of move-in, she was so courteous, professional and took her time to answer all my questions and let me view the different unit sizes just to make sure I'd chosen the proper sized one. Very happy, great service and tutelage on the entry codes. Great place to store your things and the customer service is the best. I had no problems at this storage place. It had the best prices and best customer service. I was in and out within 15 minutes of looking at the unit. Was looking for something close to our apartment that would be an arm and a leg for juat a 5x5. This place got me an indoor unit whuch works quite well for my needs. I am sloglad I chose storage mart for my storage unit. Friendly staff and great prices. This place has lots of different options for storage. 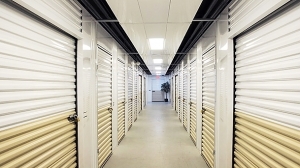 The facility is clean and well kept with excellent security to ensure the safety of the items in storage. Friendly staff and very competitive pricing. Move in was easy. The lady at the front desk was very nice and helpful. 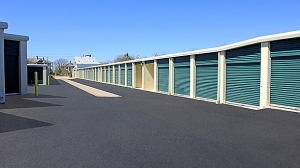 Storage units were clean and very accessible. Would recommend! Very helpful and proactive. Great price. Close to freeway. This is my first time buying a storage unit. I am in between places and needed a place to store my things on short notice. Its was a lot easier than I thought. I used Google to compare prices but this site made it really easy to select what you needed and then be provided with options to fit your needs. And I was quickly able to determine which deal was best for me. If I ever needed to use a public storage, I know where to start now. A very nice facility, I would use again. All around a pretty great facility. I haven't found anything I don't like yet. It's extremely close to me and seems to be really secure. Like everything else is the Austin area, the price is high, but supply & demand dictate prices. My only concern was the wait time. I had scheduled a reservation and called an hour before arrival there was nobody available then and when I decided to just go into location I had to wait and call the managers cellphone several times before I got a call back. My husband and I checked in for our reservation to rent our storage unit and we were very surprised! The woman there was as sweet as can be the unit we reserved was no longer available but she honored the price and escorted us back to our unit with our 2month old. Helped us with all questions and security questions and then drove us to our car so the baby wasn't in the heat!!! After we moved in we met our storage neighbor and he helped us without us asking for help and welcomed us in. I love it here very busy ce people and GREAT service !!!!!!! Debbie is very good at her job. The woman who runs the place is very helpful and personable. she is highly professional and the place is well-maintained so you can be sure your stuff is safe. This is a good location. This place is very clean and good customer service! The person at the front desk was very nice and walked me through everything. 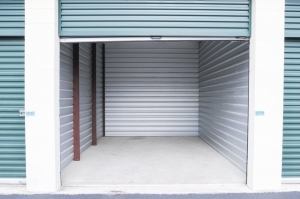 The storage unit was very clean and it seemed very secure! Customer service was great and very informative. Pleasant experience. Fairly cheap. Only one employee staffing midday, so it took a while to set up an account. Manager was very helpful, answered every question I had and helped accommodate my every storage need. It was very easy, stress free to move in. The manager was very friendly and extremely helpful! And for three months it would cost me very little. Very happy with my experience! This storage is really a great find. Less expensive than sites located in not so safe parts of town, clean/new looking and very secure! cheapest we found! cheapest we found! cheapest we found! Secure, Professional, Clean, and Good Value! Management is very helpful, knowledgeable, and professional. The facility is clean, secure, and easily accessible. We felt very comfortable storing our "stuff" at StorageMart. Would absolutely recommend them! So far my overall experience has been great! The manager let me know when I made my reservation that they currently had a Groupon that would save me some money. I love that I was able to get the first month free too! extremely nice and clean facility. This is an extremely clean and we'll built facility. I would use them again when needed. Rate them a 15 on a scale of 1 to 10. Price was great, good location for us. Easy move in process. I'd use them again and recommend them to friends. One caution - The storage place does not consider the reservation or "hold" to be binding to them if they are close to full and someone else walks in to rent before your reservation date. That is not clear and is something that is communicated not by the reservation system, but by the storage units themselves. Very please with the whole move in experience, The manager Debbie called me back after 10:30 on the day of move in and made the unit available 24/7 so we could finish getting our stuff put away the first day. The lady that helped me was great! Everything went smoothly except that the unit hadn't been cleaned out and had bugs and bug droppings. She took care of this and sprayed for new bugs and apologized. Otherwise, no big deal. I have only just moved in but Jessica was great. I really appreciate her customer service. The facility was clean and the office was neat and organized. I especially liked that Jessica seemed to want to get me in and out, respecting my time. The rate was the lowest I had found in the area, and she told me about other specials going on as well. The gate and door code system were reassuring. I would recommend to friends. Great facility but had hard time getting manager to return calls. Also my expensive lock didn't work and had to use a cheap lock. Also I wasn't told about a $20 "application fee". One Star for this Storage Mart location is really TOO MANY stars. If you are thinking about storing items at Storage Mart BE WARNED! RATS EVERYWHERE! No matter what other 5 Star paid posts say, this Storage Mart has tons of rats running ramped throughout the climate controlled units. Of course the rats move out in the summer and then back in the fall according to exterminators I talked to. When we moved out we found 13 dead rats in the 10X20 climate controlled unit and another 4 in a non-climate controlled unit. Storage Marts will entice you with low prices but then will increase your rent every 6 months or yearly. Their comment to justify the higher rent is to provide a safe environment for your belongings. How about the rats? Charge more and do less. That's good for business. I unfortunately had my items stored at Storage Mart for 8 years and never had a problem with the units or with management until about two years ago when the new manager was running it. She lacks management and customer service skills. If you are thinking about storing your items at Storage Mart BE AWARE of the above issues and good luck. Bad thing about all this, besides thousands of dollars of furniture loss, is that the RATS did not pay their share of the rent. Great price for an air conditioned unit, was able to move in at my convenience, paperwork was less then 10 minutes and front desk was very friendly. They did NOT honor the price you confirmed. they charged $5.00 more. I am still arguing with them. Debbie at the front desk was very helpful and accommodating. The unit had some odor, but otherwise it was a clean move. Great experience. I would recommend it to friends. There were some security hiccups but the management addressed them. I love my unit and location. Storage Mart, was 100% of all I needed. Online was immediate access. Nowwwwww Get This, a real person. A human called me back gave mean clear info that was dependable info. I left feeling so positive. Thanks! Very easy move in experience. Very satisfied. Saves me 35.00 a month from my previous storage! I reserved a unit online to take advantage of the online specials(99% off 1st months rent) I had my doubts if it was really that easy. When I went to check in and finalize my reservation Debbie had no problem pulling up my info, and five minutes later I was done. Aside from the $20 admin fee the online deal was no hoax like most storage facilities I had tried. Great place good service. From the reservation desk to the move in everyone was very professional. The person on the reservation desk found me the perfect location and had me setup and ready in no time. Debbie, the onsite manager was great. She had a unit for me and I was finished with the paper work and putting my stuff in the unit right away. The facility is, clean and well taken care of. Access is convenient. Very nice and very professional! my only complaint is that it's quite far out! The renting process was fast and easy. The unit and grounds were very clean. I would definitely recommend this facility. This facility is nice and the onsite staff was kind and helpful. The framing/mirror box choices could be more extensive though and the locks for the unit have to be a specific type which was very inconvenient. Debbie was very kind and helpful! Simple, easy process to get in. Tried to upsell me on a unit, which is her job, so no harm no foul...in the end it wasnt necessary. Clean and easy access to unit. Extremely simple and smooth process moving my things into this storage unit. I was surprised I was able to find such a convenient storage unit for a good price at the last minute. It made my life much simpler! Thank you! facility easy to get in and out. Very clean. Front desk staff not so friendly! Sorry I know they have been busy, but almost seemed like they were having a bad day. These places are clean and available. The 24 hour access is convinient but by nature can hinder security. It's a balancing act, and I prefer the access. The paper work? Most places make you sing 30 pages of legal documents, not here! Not here, thank you! The place is very clean. The staff was great to me and stayed late to help me get in that night. Overall, very good. Only one problem - no carts are easily available for use. Have to bring my own. It was about as good as it gets. Debbie was very helpful and friendly. It didn't take long to set it up.The place was very clean and the price was right! The manager is extremely nice and helpful. The price makes it worth the drive. She was very accommodating especially since we were coming from another city. If you up north, this place is pretty awesome--- the online rate is great and much cheaper than other locations around town. There are three different security barriers to get to your unit, so I feel very comfortable leaving my stuff there. The management is very nice and helpful. All around, a great storage facility. This was a good experience. She had what I needed. Debbie took the weight of the world off my shoulders ! The place was very nice, and Debbie was willing to work with me, and rearranging things to fit my needs in a storage facility. It was quick, easy, and polite. I thought it was excellent location and price didn't hurt. The staff was very caring and pleasant. Lots of units. Paperwork was quick, the facility was clean, the staff was fairly nice, I feel secure keeping my things there. Debbie the manager likes to park in the handicap space. She is not handicapped. She is also curt and a little icey in her personality. So far everything else appears to be OK.
Great quick service and friendly reception.. The manager was very helpful and patient. I appreciate the help that was given to me from her. Such a Delightful Fortress for my stuff! This place is awesome! It is so convienient, and I love being able to access my stuff whenever I need to. I swear the storage itself is bigger than the 5X5 square I mapped out on my floor before taking all my stuff there. This place is locked down like a fortress if using a climate controlled unit. Once you use your codes (yes codes, you have to enter 2), you drive to your unit, then you have to use another code (a completely different one) to get through the door before reaching your locked unit. I like that the lock mechanism gives you the opportunity to use a 2 locks (which is good for worrier obsessive individuals like myself). I have a roommate who is storing things elsewhere with the same amount of space, he pays double what I pay. Lastly, Debbie is a delight to work with, she makes everything easy and I feel comfortable leaving my items in her watch. I'm very glad to find this storage company, not only the lowest price in the area, but the best service & 24 hour access to my storage unit. It also have several program to help me save money. For example, book online discount, first month 99% off, bonus from referred friend to rental... I'm happy! Be careful with the pricing. Though the initial price seems attractive, once you become customer, they bump the price after 6 months. Then every 3 months you will get rental fee increased. The pricing was not exactly as specified in the ad, and the space is more like four feet rather than five feet wide. However, the manager was very helpful, even when we had trouble with our credit card. A very good experience overall. Though many of their 5'x10' units are actually 4'x10' (I measured), their staff is very helpful and their facility is quite large. Security is mixed as you have to bring your own padlock as the only lock on the unit, but there is a gate code required to access the unit. The manager is very helpful. I was disappointed that there was no two wheel dolly to help me transfer items to storage. Overall a pleasant experience.